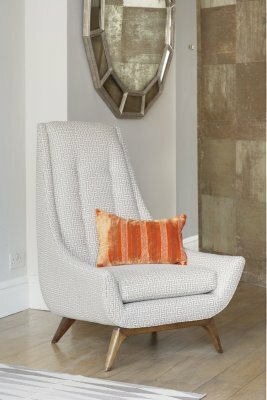 To custom make a single over scaled armchair with high square back. To include upholstering in fabric supplied by client (5.5 metres of fabric required). Different finishes available for wooden legs.